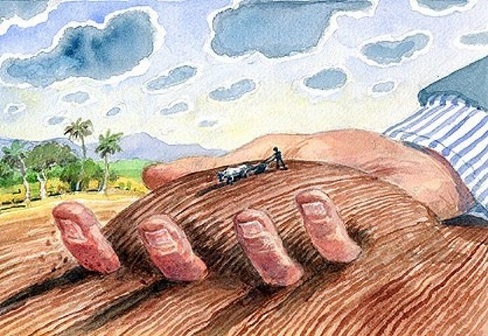 From GGI News: In 1996, the World Bank directed India to move 400 million people out of agriculture. 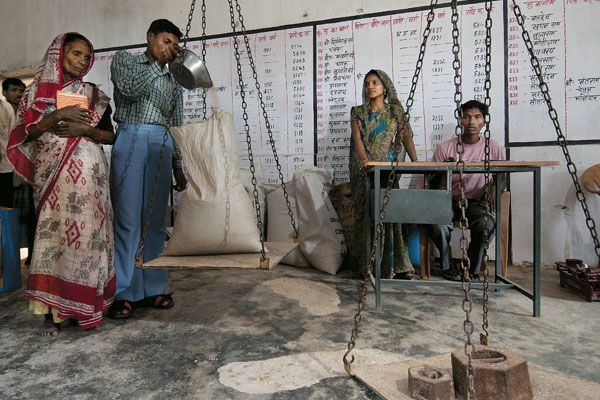 Former PM Manmohan Singh had repeatedly expressed the need to shift 70% farmers. 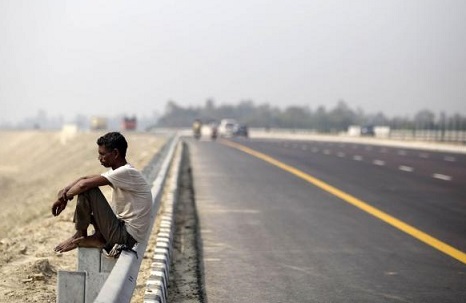 Only then will cheap labour be available for infrastructure development. The economic design is well laid out. 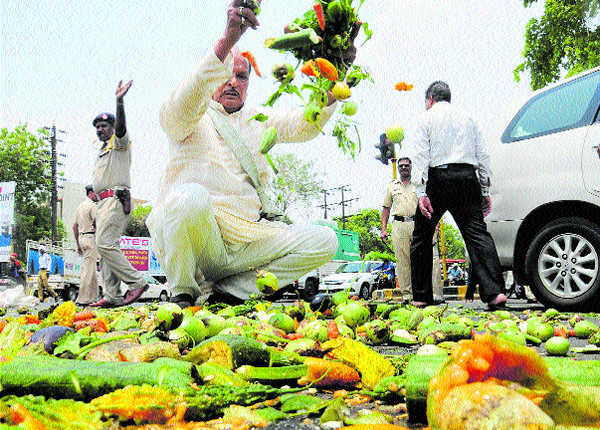 Agriculture is being killed for economic growth. Devinder Sharma writes: In the past 21 years, over 3.18 lakh farmers have committed suicide; that’s one farmer ending his life every 41 minutes. 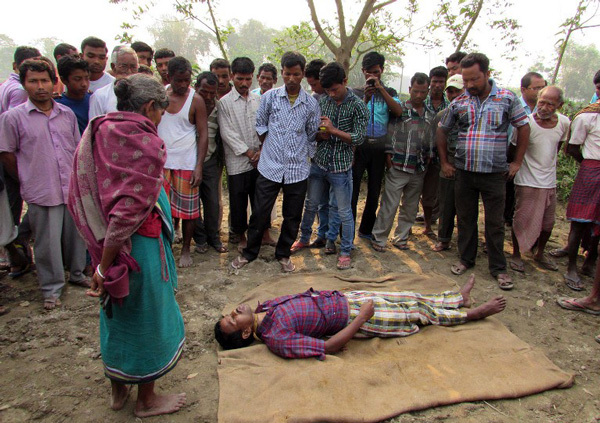 Every death on the farm infuriated the farmers, their families. But political leaders have always ignored the warning. Not realising that the day farmers wake up, Indian politics will change forever. From The Hindu: For long, we’ve said that the solution is to get people off farming. While we need more manufacturing jobs, latest projections show rural India will still have 800 million people in 2050. Moving people to the cities could deepen the urban imbroglio. So solutions have to be found for agriculture, and fast. Milind Murugkar writes: ‘Why doesn’t the informal sector, supposedly badly hit by demonetisation, protest or scream in pain?’. Defenders of demonetisation often pose this question. If you want an answer to the question, please listen to Sachin Jadhav. His story takes us through the long chain of economic loss and suffering of the rural population. Samar writes: Indebtedness was behind 38.7% of farmer suicides in 2015; the corresponding figure for the same head in overall suicides in India is a mere 3.3%. Nearly 80% of those who killed themselves because of indebtedness had taken loans from “Financial Institutions like Bank/Registered Micro Financial Institutions”, and a mere 302 from “Money Lenders”. Devinder Sharma writes: After a month of demonetisation, the picture in the rural areas remains too bleak. I know of villages where the farmers had to return empty handed even after seven days of queuing up. As a TISS study points out, nearly 81 per cent of the villages do not have access to banking. Shankar Gopalakrishnan writes: Demonetisation’s biggest impact will be on the distribution of resources within the economy, whatever happens to the economy as a whole. Demonetisation’s a giant vacuum, sucking up the resources of the weak and delivering them to the powerful, while acting like it’s doing the opposite. More importantly, this transfer will be permanent. Acclaimed journalist P. Sainath reports from rural Maharashtra: The “Modi masterstroke”, a term contrived by assorted anchors and other clowns on television to hail an unbelievably stupid action, is spreading agony and misery in its wake across the countryside. If there’s been any stroke, it’s the one the heart of the rural economy has suffered. Who is Devinder Sharma? Whose interests does Kisan Ekta serve? 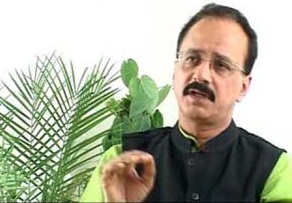 Anandi Sharan writes: Devinder Sharma is a founder member of Kisan Ekta, that claims to represent ‘400 million farmers, fishermen and farm workers’. But does Sharma, a close associate of the controversial yoga teacher-turned businessman Baba Ramdev, understand the ground reality of the politics of food, agriculture and hunger? Whose interests does Kisan Ekta serve? 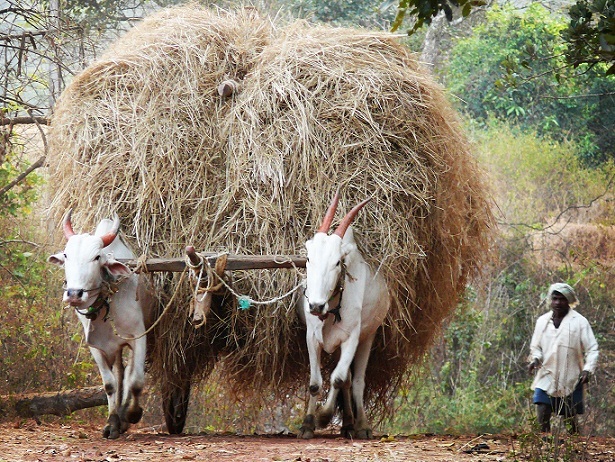 Devinder Sharma writes: The real cost of economic reforms is being borne by rural India. The first-ever Socio Economic Census has now clearly brought out this stark reality… The economic wealth of 15 families in India equals that of 600 million people… On the other hand, 60-crore farmers are paying the price for unjust economic reforms. 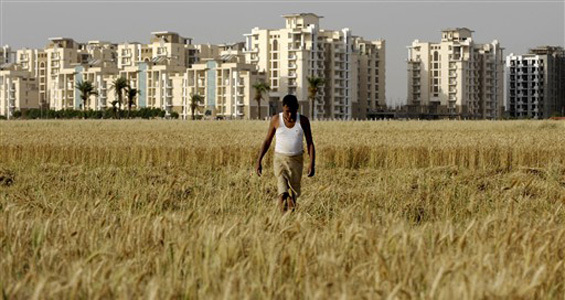 Devinder Sharma writes: Jaitley wants the farmers to wait five years for their income to rise to 3,332 rupees a month. I can imagine the Economic Survey presented in 2022 proudly stating the success. But the reality is, by 2022, adjusting for inflation, the doubled income would be equivalent to what a farmer makes now. Devinder Sharma writes: Arun Jaitley’s economic agenda revolves around pushing reforms in order to lift growth and create jobs. But what is not being realised is that agriculture alone – the sector that has been neglected all these years – has the potential to create massive gainful employment, build domestic demand and thereby revitalise the sluggish economy. Video: Why are farmers dying? With the formation of WTO, a new international economic world order came into being. This has greatly affected the fate of farmers in developing countries. 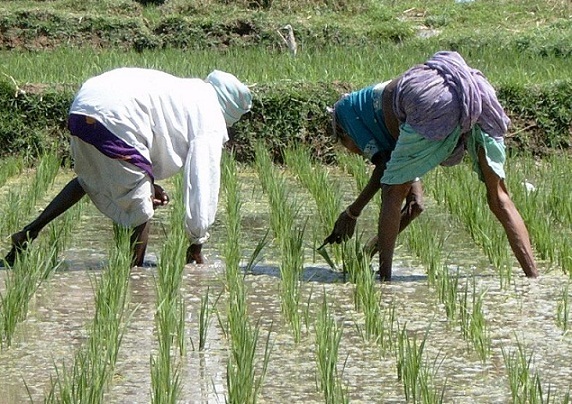 Writer and policy analyst Devinder Sharma elaborates on the impact of the continuing agrarian crisis in India and calls for a concerted effort in arresting the escalation of the crisis. Why no meat at the Paris climate talks? Devinder Sharma writes: The cumulative impact of cattle rearing in Australia, transportation of cattle from the ranches down under to China, and the resulting greenhouse gas emissions alone is going to be enormous. 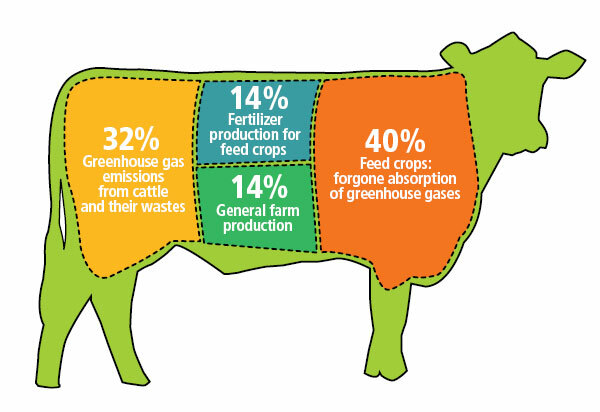 And yet meat consumption has not been mentioned at Paris climate talks. The reason is simple. The western lifestyle has not to be disturbed.